Top Reasons to Consider Tucson Divorce Mediation! Here are some great reasons to choose divorce mediation! When you and your spouse decide that you want to put an end to your separation and call it quits for good, you may think that your next stop is a court room after you call an AZ divorce lawyer. But an acrimonious trial isn’t the only way to settle your divorce. There is a kinder, friendlier option, and it’s called mediation. With divorce mediation, you and your soon-to-be former spouse sit down with a neutral mediator who helps you come to a decision yourselves about how to divide assets and share custody of your children. You and your spouse are given the power to create the agreement, and the mediator is there to make sure the discussions stay on point and are productive. The mediator doesn’t make any decisions on your behalf. Think of the mediator as a refugee in what is hopefully a sportsman-like game. One of the biggest reasons that people choose mediation is that it is not as adversarial and stressful as a divorce trial. Mediation emphasizes cooperation and collaborative problem solving. A divorce trial pits the parties against each other, forcing them to fight for what they want in the settlement. When you and your spouse are encouraged to view each other as partners in your divorce settlement instead of adversaries, you are more likely to feel generous and to make concessions in your discussions. Going to court puts your case in the hands of a judge. Sure, you have a Tucson lawyer working on your side to fight for what you want, but the judge is the one who has the ultimate say in what property you keep, what debts you owe, what child support and alimony you receive, and even when you get to see your children. By going to mediation, you put those decisions in your own hands. You and your spouse retain control over who gets what. So long as you can work together, you can both walk away happy. Think about how quickly your discussions go when you agree with someone or are willing to make concessions to reach an agreement. Now think about how long those arguments drag out when you are unwilling to see the other person’s side or you are unwilling to budge on your point. Now you have the difference between mediation and a divorce trial. Mediation will come to a resolution much more quickly, helping you to put the divorce behind you fast so that you can move on with your life. An experienced divorce lawyer does not come cheap. The longer your case drags on in court, the more you will pay in legal fees. Mediation resolves your case much more quickly, which means you will pay much less in lawyer fees. You’ll have to pay for the mediator, but you’ll still come out far ahead of what you would if you took your case to court. A divorce trial in open court can be scrutinized by anyone. You’ll be airing your dirty laundry in front of a judge, attorneys, court personnel, and whoever else happens to be in court at the time. That information can be shared by those who aren’t under obligation to keep the information confidential, such as your own attorney. In contrast, mediation proceedings are completely confidential. The proceedings are held in a closed office with the mediator, and all the documents, emails and other notes are considered confidential. No one will know what happens in those proceedings that you don’t want to know. Divorce is hard enough on children, and a divorce trial makes it even worse. Children can be called to testify during the trial, and they may be put through multiple interviews by experts during the proceedings. On top of that, the increased stress from the divorce proceedings can cause the parents to treat the children more harshly or to argue in front of the children. Mediation can help you resolve your divorce without involving the children at all. The mediator can also keep parents on track so that they stay focused on what is best for the children, rather than devolving into a personal feud that pulls in the children as collateral. By staying focused on positive communication and collaboration during your divorce, you will create healthy habits for your relationship that will last well after the divorce. You’ll be able to handle disputes more easily when they arise, such as how to handle problems with the children or how to deal with holiday conflicts. You’ll see each other as partners rather than adversaries. Mediation isn’t for everyone. Those who are bitter and resentful and are primed for a fight will not do well in mediation. You should be willing to engage in collaboration. You and your spouse should also be able to communicate clearly and respectfully. These are skills that can’t be taught or forced, so if they aren’t already present, mediation won’t be the right choice for you. Mediation also should not be recommended for any couple that has a history of domestic violence or any other kind of abuse. Whether you choose divorce mediation or you want to go to trial, working with the right Tucson divorce lawyer is essential to helping you understand your rights and to navigate the legal process. 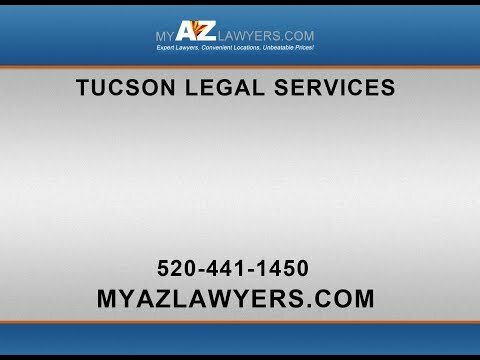 My AZ Lawyers can help you get the outcome you need for your divorce. Our experienced lawyers will help you understand the benefits that mediation offers and whether it is the right option for you. If it is not, your divorce lawyer will prepare the best argument to get the settlement you need from a trial. Call us today to learn more about our team and how we can help you.